Mr. Charlie C. Angry, Sr.
Funeral services for Mr. Charlie C. Angry, Sr. affectionately known as “Barbeque Man” will be held on Saturday, August 2, 2014 at 11:00 A.M. at the Zion Hope Baptist Church in Sumter City with Pastor George F. Monts officiating. Burial will follow at the Israel Cemetery. Mr. Angry died on Thursday, July 24, 2014 at the Magnolia Manor Nursing Home. 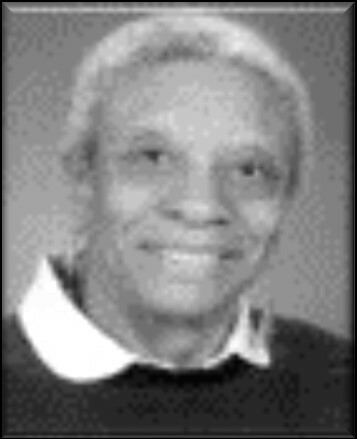 Mr. Charlie Angry was born in Sumter Co. on June 6, 1920 to the parentage of the Mr. Press Angry and the late Mrs. Mae Bell Ross Angry. He was married to Mrs. Ruth Thelma Green Angry for 39 years. To this union eight children were born, two preceded him in death, Mr. Charlie Angry Jr., and Mr. Willie C. Angry. He was also preceded in death by four siblings: Robert Lee Angry, Rufus George Angry, Mattie Williams and Nettie Ruth Jackson. He leaves to cherish his memories four sons: Mr. Johnny Lee (Bernice) of Smithville GA, Mr. Sandford (Dorothy), Jessie Lee (Elaine) and Mr. George Angry all of Americus, GA. two daughters: Mrs. Ruth Perry and Mrs. Thelma M. Brantley both of Americus, GA, and five children that he raised as his own: Miss Imogene Angry, Mr. Willie Green Jr., Mrs. Bobby L. Paul, Ms. Bernice Green and the late Mrs. Eva Green Broner all of Americus, GA; four sisters: Mrs. Mary Lynn Rumph of Boynton Beach, FL, Mrs. Lillie Mae Merritt and Mrs. Collie M. Williams all of Americus, GA and Mrs. Bertha Mae Evans of Miami, FL; one sister-in-law, Mrs. Mary Green of Americus, GA; two brothers-in-law, Willie Green Sr. and Mr. William Green of Americus, GA; 23 grandchildren, 45 great grandchildren, 10 great great grandchildren and 1 great, great, great grandchild. A host of nieces, nephews, cousins and other relatives and friends also survive. Memorial Service for Ms. Dorothy McGill of North Chicago, Il formerly of Americus, GA were held on Saturday, July 5, 2014, 1:00 P.M. in the Chapel of West Mortuary in Americus, Georgia. Dorothy was born in Americus, Ga on, May 3, 1942, to the late Elliot and Amy Roberson. Dorothy was also preceded in death by two sisters, Emma Wright and Ethel Roberson. For her safety and wellbeing, Dorothy was raised in the home of close relatives in Americus, Ga: Ivory and Annie L. Dowdell, Jacob Dowdell and Susie ‘Mae’ Monson. Susie Monson became Dorothy’s surrogate mother, and a strong bond of siblings was established with Jacob S. Dowdell and Dorothy Dowdell both of Americus, GA; Shirley (Howard) Childs, Hiram, Ga; Dell Jones, Cordele Ga; Eula (Ronald) Boatwright Petersburg VA; Linda Smith also of Petersburg VA; Angie (Debra) Monson of Griffin, Ga; Lloyd Tracy (Mary) Monson, Petersburg, Va; Darrell (Terri Jo) Monson of Norcross, Ga; Fanita Phillips, Americus, Ga and Deborah (Ronald) Cunningham, Petersburg, Va. She also leaves two nieces, Mae Dorothy Wright of Dawson, Ga; and Emma Lou Wright also of Dawson, Ga. A host of other family and friends also survive.